A big storm suddenly whipped up out of nowhere outside of Joliet IL, and tried its very best to blow me, my girlfriend, the 1100 and the camper completely off the road, needless to say we took the very next exit! Kudos to the 1100 for staying on the pavement! We were up in your neck of the woods last summer. Just west of Denver we were practically beaten to death by a hail storm. My wife took pictures of some of the most beautiful mountains we've ever seen. We figure a lot of times, it's just as well to keep going and drive out of it than stop and wait for it to pass. Most of the time we don't even bother to pull over to put on rain gear because in a few minutes we'll be out of it and the wind dries us off in no time. However, those big storms you talk about are no fun to be in, especially when they cover an entire state. I have a weather radar app that warns me of any approaching storms and how big or severe they are. If it's something we'd be in for hours, we pull up the Allstays app and start looking for a campground. There was no driving out of this one, we holed up in a tavern right at the exit for 4 hours until the rain let up. Found a campground about a mile away, and the rain returned just as we finished setting up the camper. Rained and blew all night. Needless to say, the 1100 was a little sputtery starting the next morning (no cover). Mostly, places that are reasonably picturesque with adequate roads and not to peoply. Southern Arizona is a primo place to winter with a motorcycle. Last edited by MotorPsycho; 03-23-2019 at 10:29 PM. Washington Peninsula, Columbia River Gorge, North Eastern Oregon. Washington, Oregon and Northern California coast. Eastern Oklahoma, dang near the entire state of Arkansas, South West Missouri all offer some great riding. Northern New Mexico and Southern Colorado will be visited again. With that said, I anticipate that eastern tennessee and north Carolina will become a favorite. I'll know more come June!!! 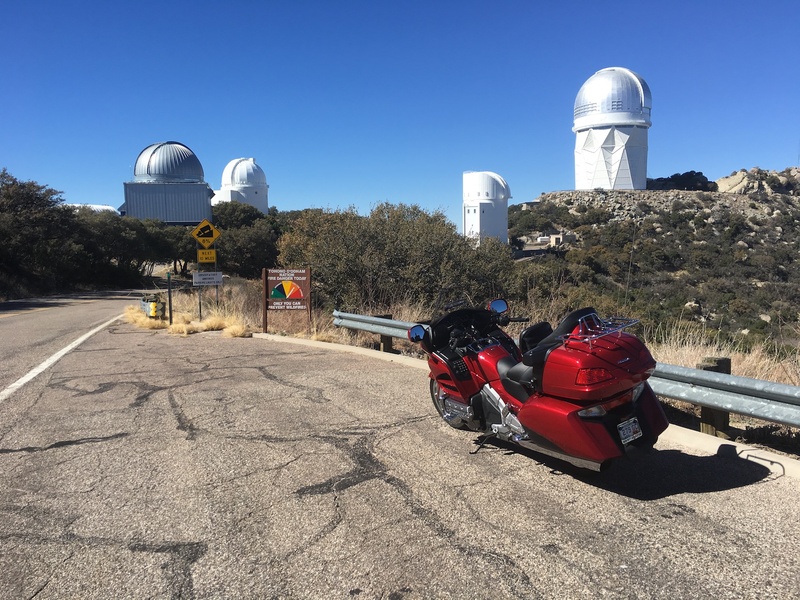 Kitt Peak National Observatory, Tohono O’odham Reservation, West of Tucson, AZ. Any road from south central Pa. north to north central Pa. Lots of great riding through there. Rt. 6 from northwestern Pa. east across the top of the state. One of my favorite rides. There's also Rt. 33, Rt. 28 and Rt. 250 in Wv. too. Way too many to ride in that area. That's right, in the United States. Not some of Kansas though.